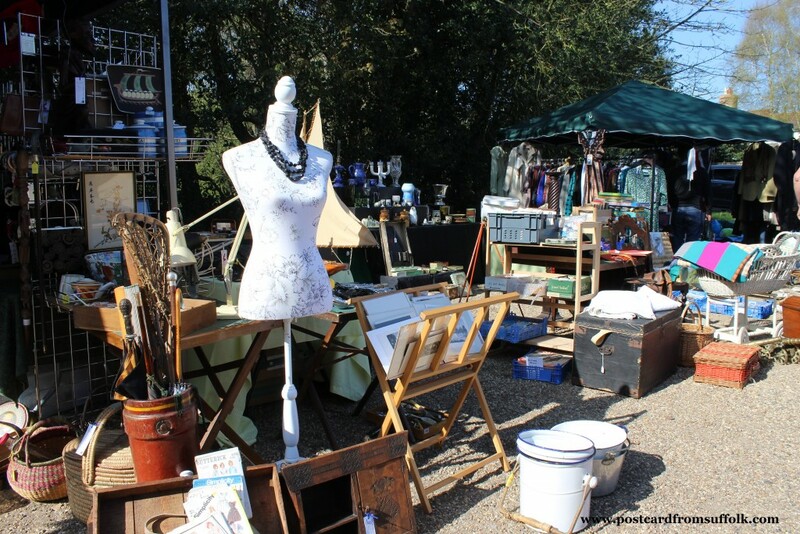 You really can’t beat a vintage market stroll at Snape Maltings in the sunshine! 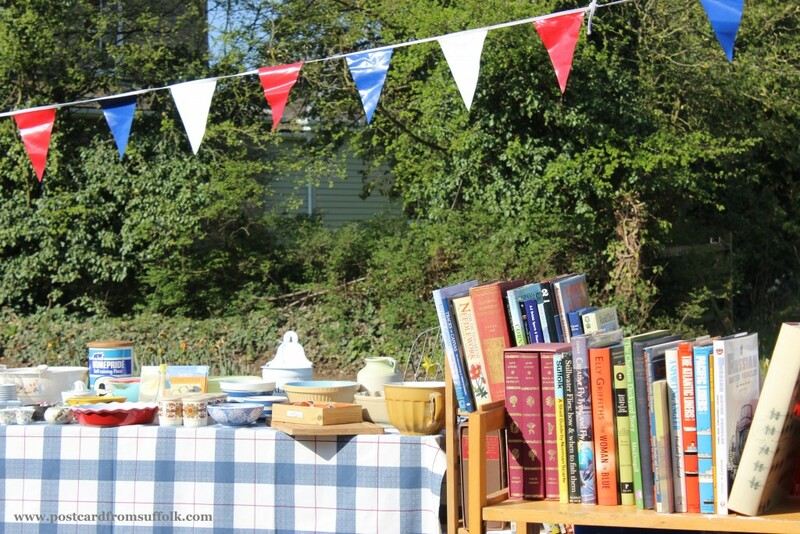 Its such a relaxing thing to do, in beautiful surroundings with the added bonus of having the ‘smile’ factor as you see lots of things for sale that you remember from your childhood. I often realise I’m smiling while I look around the stalls, taking a trip down memory lane! On Sunday the vintage market was great as usual. A leisurely browse around the stalls followed by coffee and cake – a perfect way to spend some time. If you haven’t been before I can definitely recommend it. 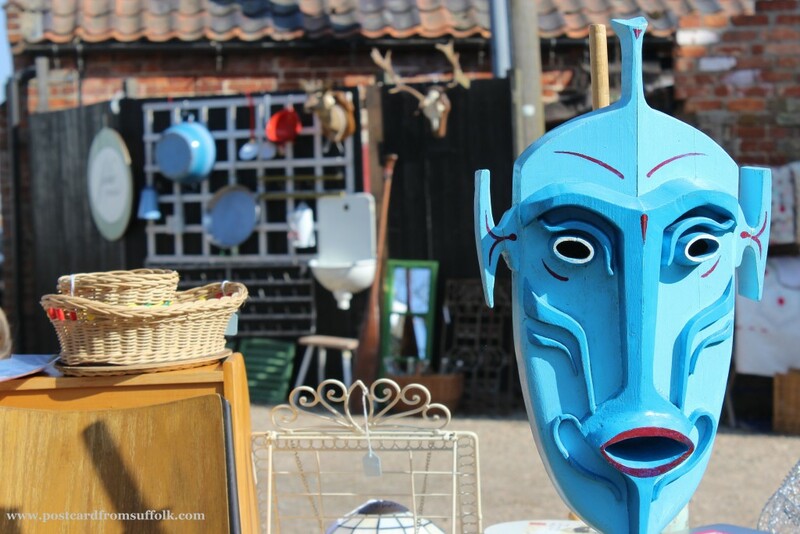 Snape Maltings is a wonderful place to visit anytime of year, but when the vintage market is on its even better! Here are a few of my favourite photos from my recent trip. I hope you like them! I loved watching the Six Million Dollar Man! If it was a signed photo instead of a game I would have definitely bought it! 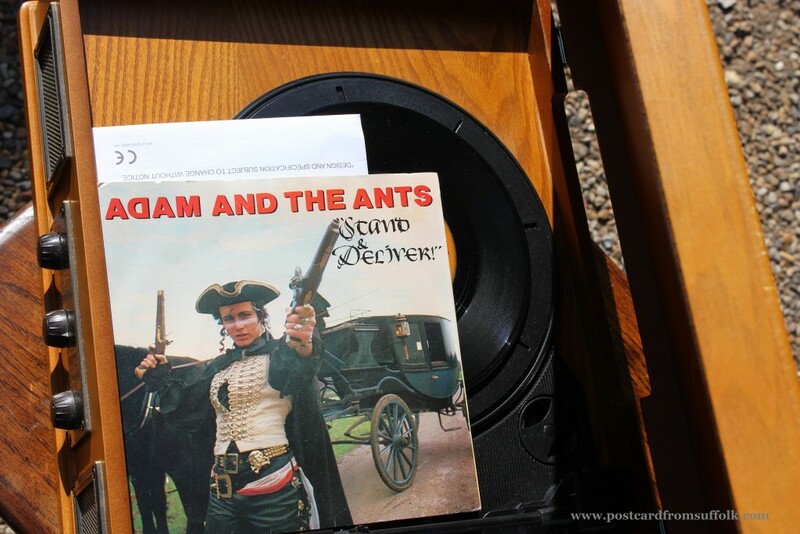 Not sure if I was more excited at seeing one of my old records or the record player! When walking around the market I always notice anything that has been up-cycled, say to myself “I could do that” get home, never do it, then say the same thing again when I come back to the vintage market next time! I think on my next visit I am just going to buy whatever up-cycled thing I like – that will take the pressure off trying to do it myself! 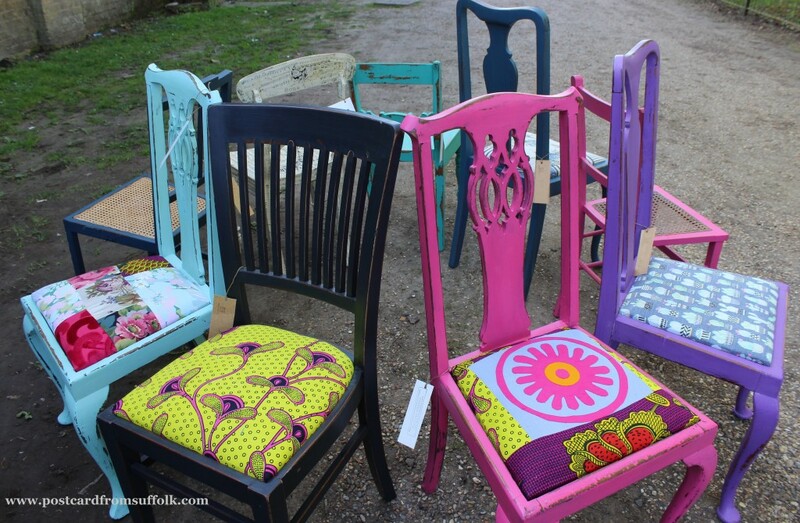 I have my eye on these colourful chairs…. Loved these funky chairs! Such a great idea of adding colour to your home. 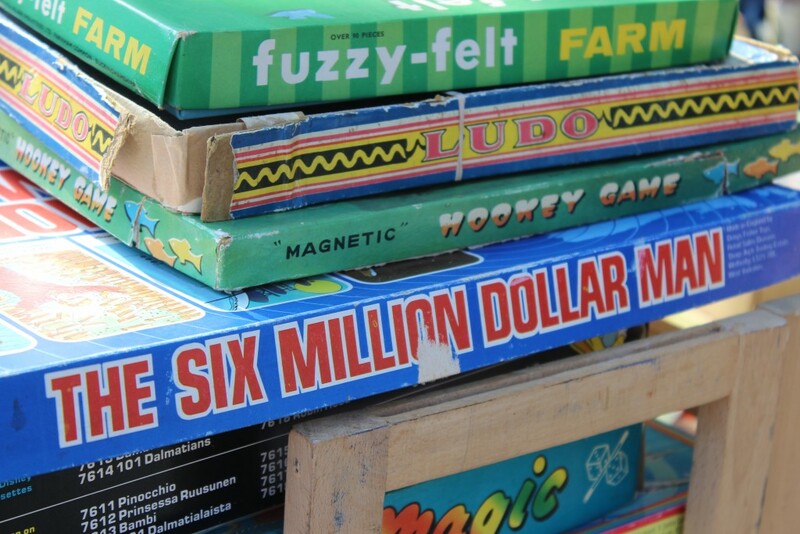 A vintage market is a fantastic place to explore if you are keen on photography too. You will find lots of unusual things to take pictures of like sunglasses, fur coats, paints and blue faces! 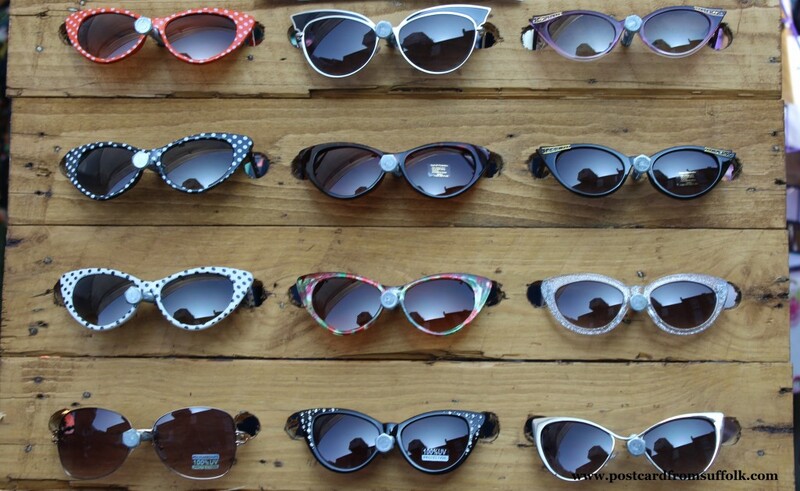 Loved these sunglasses and the way they were displayed was really eye catching! 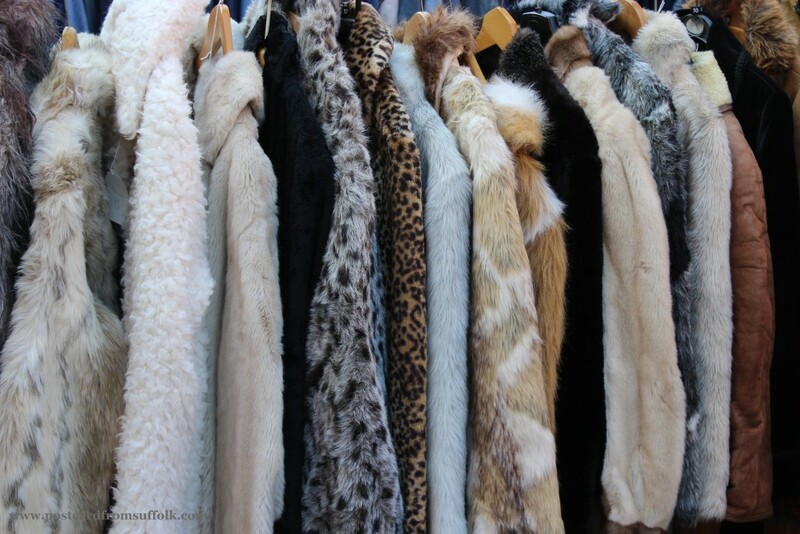 Not sure there were many takers for the fur coats – it was so sunny people were in their shorts! 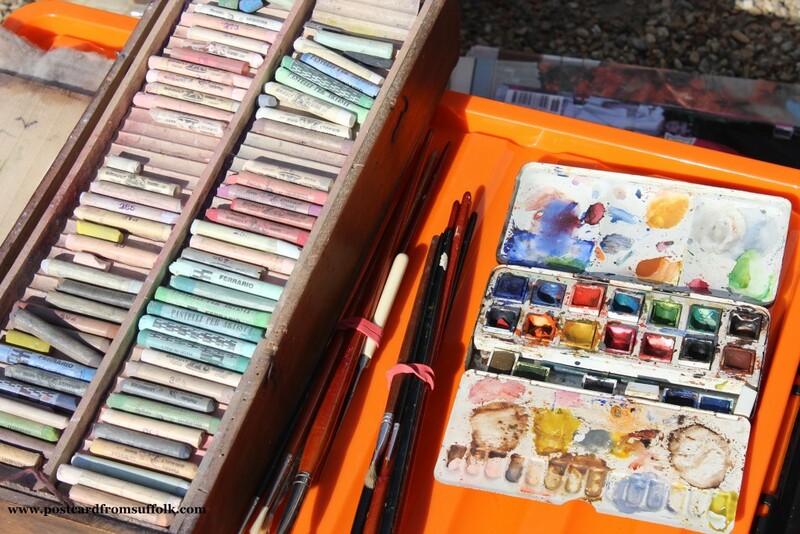 It seems you can really buy anything at a vintage market – used paint set anyone?! Probably my favourite photo of the day – no idea what the blue face is, but it did make me smile! Maybe see you at the next market?